Ocean Current brings beach influenced style to your favorite trends. 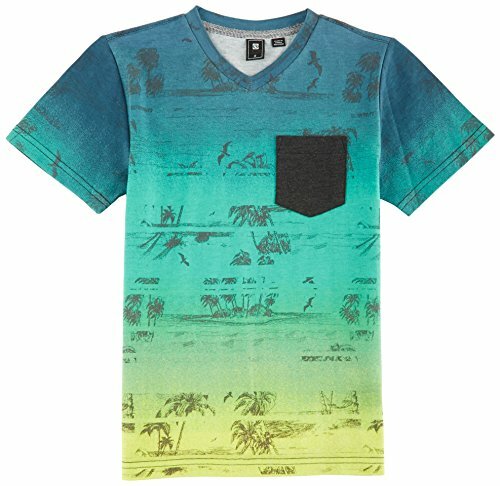 Short sleeve tee features an gradient palm tree print, contrast chest pocket, and V-neckline. Cotton. Polyester.